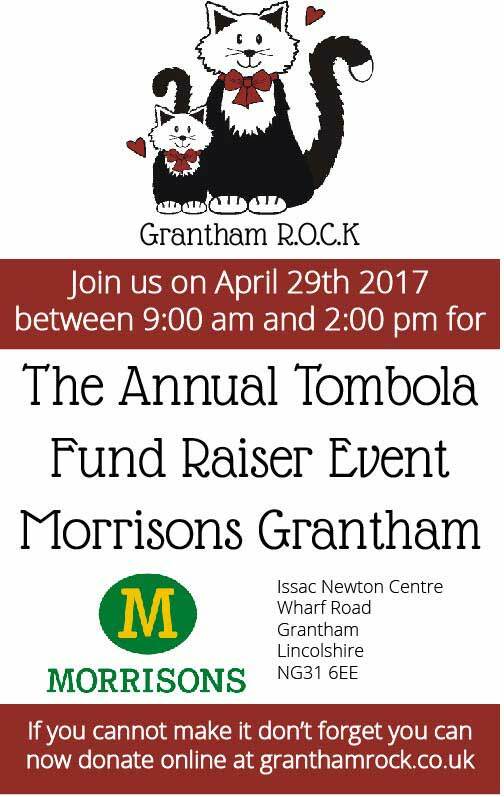 Come along to the next Grantham ROCK fund raising event 2017 at the Morrisons supermarket in Grantham town centre. UPDATE – Cath would like to thank everyone who came along and supported the cats. You helped to raise nearly £390! The event is on April 29th 2017 and runs from about 9:00 am until 2:00 pm. There will be a large tombola with plenty of prizes. 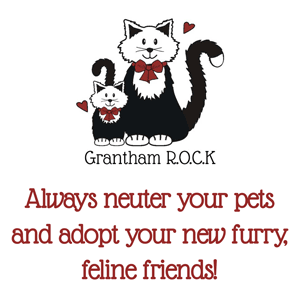 If you are able to help by donating prizes, such as unwanted gifts, please contact Cath to arrange to take them to her.